Every weekend, my students take home a writing journal with a simple writing assignment. Last year I tried to get them to write more about their life, and most pages came back filled with monotonous day-to-day, “First I woke up, then I watched T.V.” type entries. This year I started to incorporate their writing assignments with things actually happening in the classroom. What did you learn about the water cycle this week? During our last writing unit on non-fiction, one of my students was really struggling to pick an “all-about” book topic. One weekend his assignment was to write about his favorite animal. Instead of a simple journal entry, he wrote an all-about book (about tigers, his favorite animal) without even realizing it! 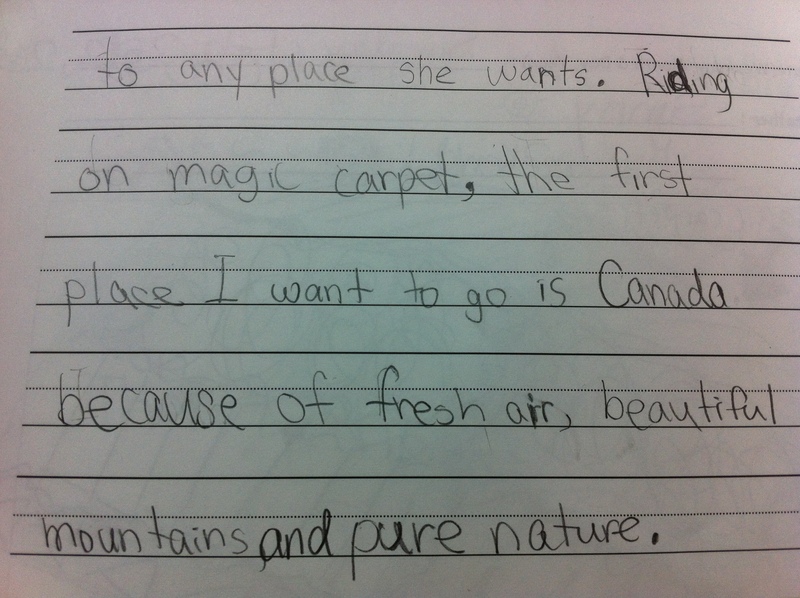 Reading my students’ journal entries is a highlight of my week! What kind of writing topics do you give your students?